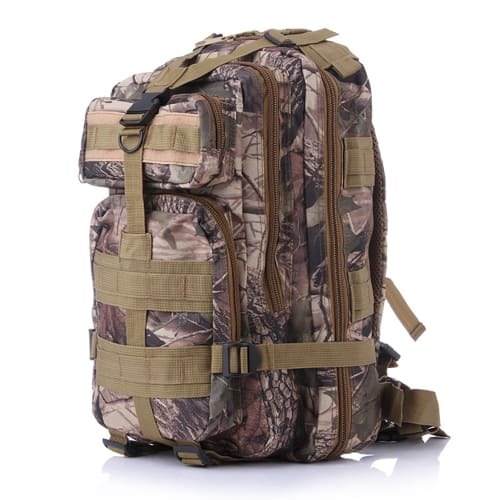 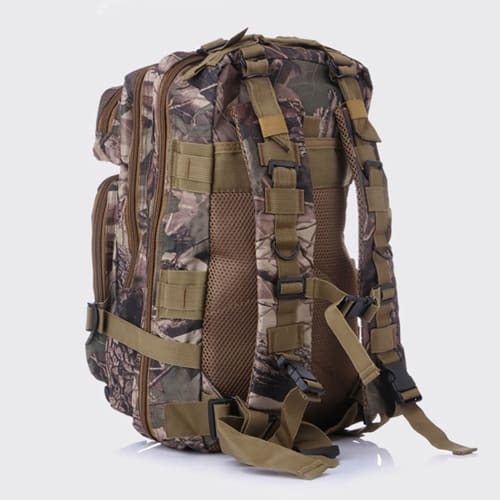 Hiking backpack outdoor camouflage for only 32,95€. 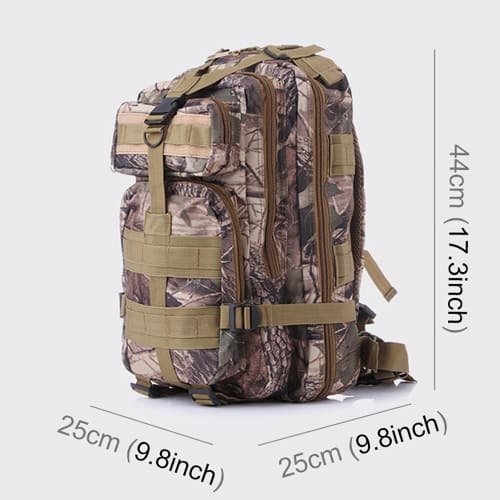 The perfect companion for your outdoor adventures! 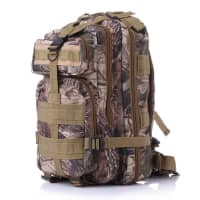 Equipped with many expandable pockets and additional compartments to enhance the backpack’s capacity. 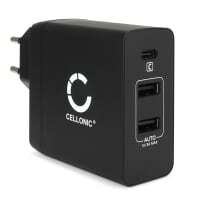 So, you can take your laptop, tablet or camera with you wherever you go. 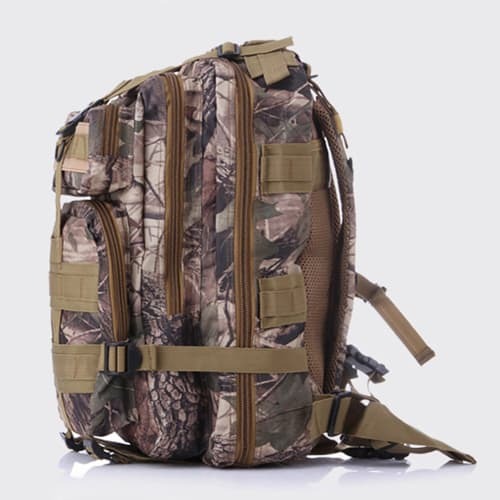 Highly durable olive green compression straps have a military look to match the backpack’s material: This outdoor backpack is made of special Oxford 600D fabric, which is exceptionally durable and weather-resistant.